Framed Vintage Browning 1911 Original Patent Drawing Wooden Sign by Wooden Crow Company at HoldUp Art. Hurry! Limited time offer. Offer valid only while supplies last. 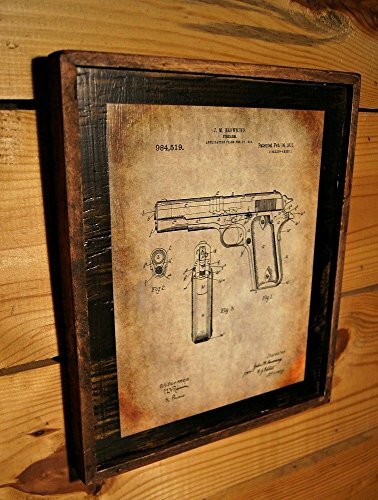 This is a custom framed Vintage Browning 1991 Handgun Patent Wooden Sign. It is framed with reclaimed lumber and has a great modern rustic look.